New and fresh content is favored by search engines. Since most of the content on your website will not change very often, consistent blogging means there will always be new content for your website to feed search engines. Focused and regular blogging signals Google and other search engines of activity. While link building still helps, blogging does the job slightly better. Google is always finding a way to change their way of finding quality content. Relevant blog posts can generate more inbound links to your website. Blogging also gives you the opportunity to incorporate images and videos which utilize alt-text and search terms. Every new blog post presents an opportunity of visibility. Starting a blog can help develop your social presence. Blogging regularly means more ways for your visitors to share your content on social media especially if your blog posts are relevant to them. Blogging also provides opportunity to show personality and insight to your business. It guarantees content for your own social media since you can always share your own posts. For example, Ready Artwork hosted a social media quiz that we shared on our Facebook page. Your customers are looking for solutions to their problems. If your blog posts addresses these issues, they are likely to be shared. The quality of your blog posts determine how shareable it will be. 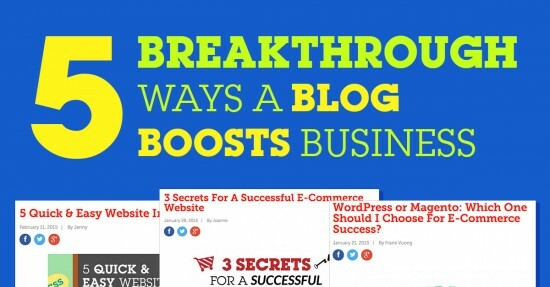 Consistent blogging can drive traffic to your website. If the content on your blog stays relevant with your readers, they will see it as a reliable source and continue coming. When you put it all together, more traffic to your website means more leads. When done correctly, blogging can help you convert your visitors and meet your objectives. An appropriate call to action at the conclusion of your blog post invites visitors to fill out a form on a welcoming landing page. 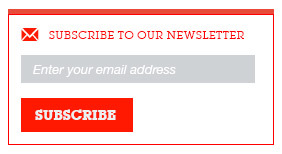 Inserting a newsletter sign up invitation to conclude a well-written blog post, can also drive a conversion. Your content and its layout play a significant role as well. Once you have figured out what your visitors want to read and how you should lay this out, you will be attracting visitors and generating conversions. Informative blogs directly answer questions current customers and future customers will have. How awesome would it be when customers have a question and your answer is a link to a blog post on your website? A blog provides the platform to answer the questions that many of your customers will have. When you begin to understand the needs of your customers, it will be easier to empathize with them and provide solutions. It supports a relationship between you and your customers when they get to know your business through your blog. For example, when we have conversation with our clients about which content management system to use when building an e-commerce website, we can direct them to a blog we wrote about WordPress and Magento. Blogging makes sense in that it helps with credibility, boosts search engine rankings, supports social media, and increases website traffic. It can be a direct solution for existing and potential customers. Do not miss out on all these benefits of starting a blog for your business–contact Ready Artwork today and we will help you get started!